The Art&Seek is the biggest calendar of arts events in the area. Explore our calendar and discover or re-discover plays, bands, artists, galleries, books, and authors. Here are just a few upcoming events we’ve hand-picked just for you. The City of Dallas is sculpting a cultural plan. 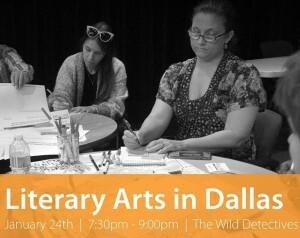 Tonight, they want to hear your thoughts about the local literary scene. Join the discussion at The Wild Detectives Bookstore. The UNT library in Denton is opening up their special collection to share some newly acquired works. Check out their amazing holdings in the “Destination: Special Collections” exhibit at the Willis Library. 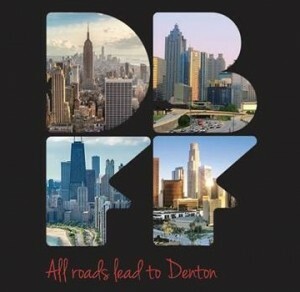 The fourth annual Denton Black Film Festival kicks off tonight. This weekend-long festival features 50 flicks from national and international filmmakers, music, art, Spoken Word, and more. The effects of war are explored through three generations of veterans in one Puerto Rican-American family. WaterTower Theatre presents “Elliot, A Soldier’s Fugue” at the Addison Conference and Theatre Centre. On Saturday, the Fort Worth Youth Orchestra and Fort Worth Symphony Orchestra team up for their annual concert at Bass Performance Hall. The Side-By-Side concert will pair generations of musicians for a full repertoire of Antonín Dvorâk’s Symphony No. 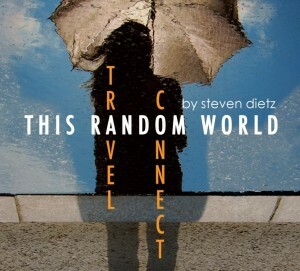 9 (from the New World). The Friends of the Dallas Public Library is hosting the winter edition of their twice-yearly book sale this weekend at the Central Library in downtown Dallas. All proceeds benefit the 29-branch library system and its programs. The Irving Arts Center has an exhibition aimed at helping folks rediscover the Civil Rights Movement through photography taken by activists from the period. 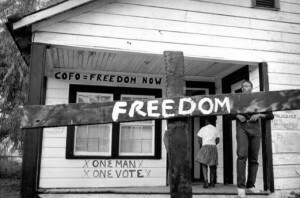 You can see “This Light of Ours: Photographers of the Civil Rights Movement” through March 4. The Safe Room Gallery at Texas Theater has a new installation by visual artist Will Heron. Heron’s known for murals featuring cactus and plant life. See “Lit” through Feb. 12. 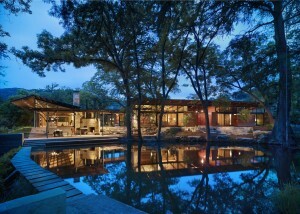 The Dallas Architecture Forum presents the inaugural Frank Welch Memorial Lecture tonight at the Dallas Museum of Art. The keynote speaker will be Texas architect Ted Flato. Flato’s unique designs connect people to the natural environment. In Fort Worth, Fort Works Art has exhibitions by photographers Laura Wilson and Art&Seek Spotlight artist Byrd Williams IV. Wilson is known for her portraits and Western-themed body of works, and William’s collection takes a look at 30 works that depict the aging process. Their shows are on view through Feb. 3.